1. the adipose tissue of the body. 2. a triglyceride (or triacylglycerol) that is an ester of fatty acids and glycerol. Each fat molecule contains one glycerol residue connected by ester linkages to three fatty acid residues, which may be the same or different. The fatty acids may have no double bonds in the carbon chain (saturated fatty acids), one double bond (monounsaturated), or two or more double bonds (polyunsaturated). Essential fatty acids cannot be synthesized by the body but must be obtained from the diet or from intravenous infusion of lipids. Saturated and Unsaturated Fats. All of the common unsaturated fatty acids are liquid (oils) at room temperature. Through the process of hydrogenation, hydrogen can be incorporated into certain unsaturated fatty acids so that they are converted into solid fats for cooking purposes. Margarine is an example of the hydrogenation of unsaturated fatty acids into a solid substance. brown fat a thermogenic type of adipose tissue containing a dark pigment, and arising during embryonic life in certain specific areas in many mammals, including humans (see illustration); it is prominent in the newborn. Called also brown adipose tissue. 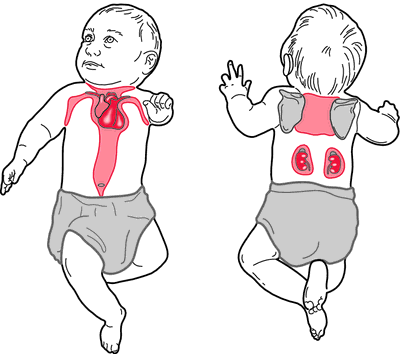 Sites of brown fat in the neonate. From McKinney et al., 2000.
neutral fat fat (def. 2). polyunsaturated fat a fat containing polyunsaturated fatty acids; see also fat. saturated fat a fat containing saturated fatty acids; see also fat. unsaturated fat a fat containing unsaturated fatty acids; see also fat. a triester of fatty acids and glycerol (that is, triacylglycerol). Common fats of animals and plant tissues that are compounds of the higher fatty acids such as palmitic, stearic, and oleic acids with glycerol. Compounds of the higher fatty acids (palmitic, stearic, and oleic) with glycerol. They are the common fats of animal and plant tissues. Neutral Fats, Body Fats: This category is generally associated with claims for weight loss. New ingredients this year include se-same peptide for hypertension, conjugated soy phospholipids peptide to inhibit the absorption of cholesterol and oolong tea polyphenols to suppress the rise in serum neutral fats after a meal. The number of people with hyperglycemia and high neutral fats declined slightly from that in 1997, while the number of people with liver trouble and high cholesterol increased by 1. Neutral Fats, Body Fat: The JHNFA status report grouped the "neutral fats" (triglycerides) and "body fat" FOSHU products into a single category, based on the approved product claims.